Music from Scandinavia and northern Europe is known for it’s unique instrumentation and large, dramatic crescendos. Tonight, however, we recommend a Scandinavian act that sounds a little closer to home. Kristian Matsson, a.k.a. The Tallest Man on Earth, hails from Sweden, but plays some of the prettiest American folk-inspired tunes found anywhere. Inspired by the likes of Woody Guthrie, Bob Dylan and Pete Seeger, Matsson’s raw vocals and intricate guitarwork sound like music born here, rather than across the pond. 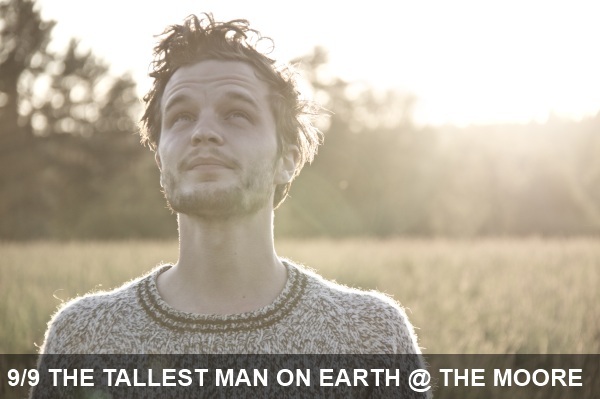 The Tallest Man on Earth will be joined by Strand of Oaks at the Moore Theatre.